The PCE-VD 3 vibration meter is a miniaturized universal data logger with an included built-in three-axes acceleration sensor (X, Y, Z axis). The internal sensor of the PCE-VD 3 vibration meter has a measurement range of ±18g per axis. Acceleration force is measured along the X, Y and Z axes. Since the vibration meter is in motion while it is recording data, alterations are recorded for the three axes. The vibration meter can be placed anywhere due to its robust and magnetic bracket. Moreover due to its small size and light weight it can be used for many different applications like, for instance, shipment control. Furthermore the vibration meter can be used for sports, medicine or for recording of movements of 1 to 3 axes. The vibration meter can be easily programmed through software. 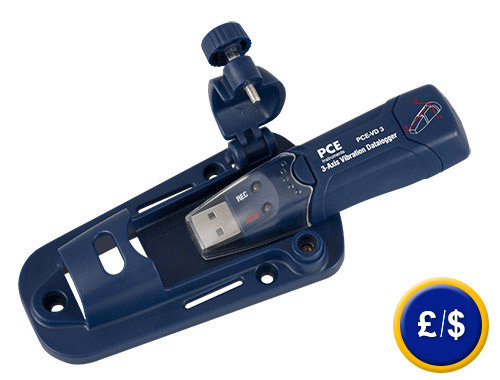 All data can be sent to a PC or laptop via the USB port easily and quickly. 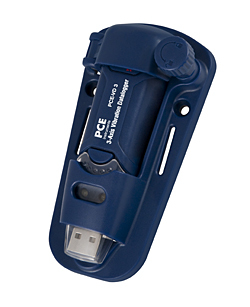 Here you can find an overview of all vibration meters and data loggers available at PCE Instruments. For further information about the PCE-VD 3 Vibration Meter, please read the following technical data or call our Hotline: UK customers +44(0) 23 809 870 30 / US customers +1-410-387-7703. Our engineers and technicians will gladly advise you with the PCE-VD 3 Vibration Meter or any other product in the field of regulation and control or scales and balances of PCE Instruments. 0 ... 40 ºC / 10 ... 90 % H.r. 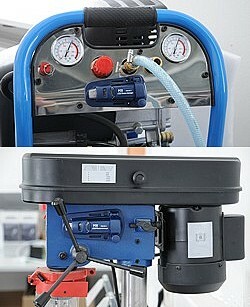 Here you can see the PCE-VD 3 vibration meter being used for the control and analysis of machinery. 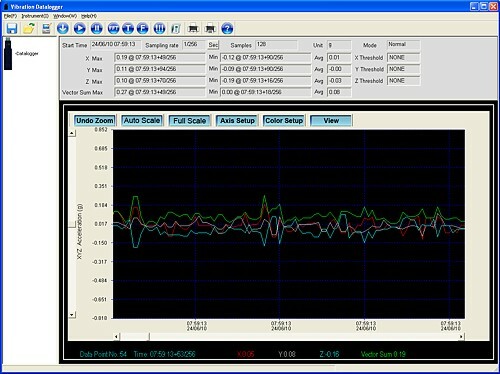 Here you can see the professional software for the reading and programming of the PCE-VD 3 vibration meter. The software allows the user to set the parameters and analyze measured values on the PC.